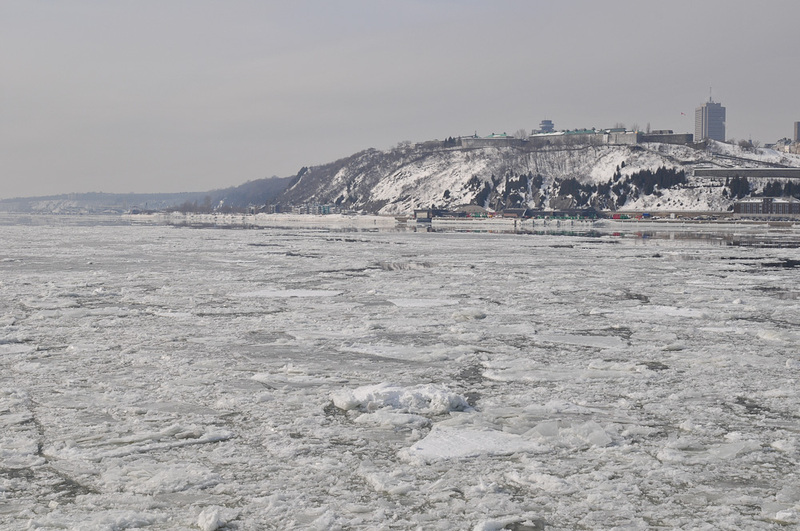 Three years ago Karen and I headed north up the Hudson River to check out the ice. 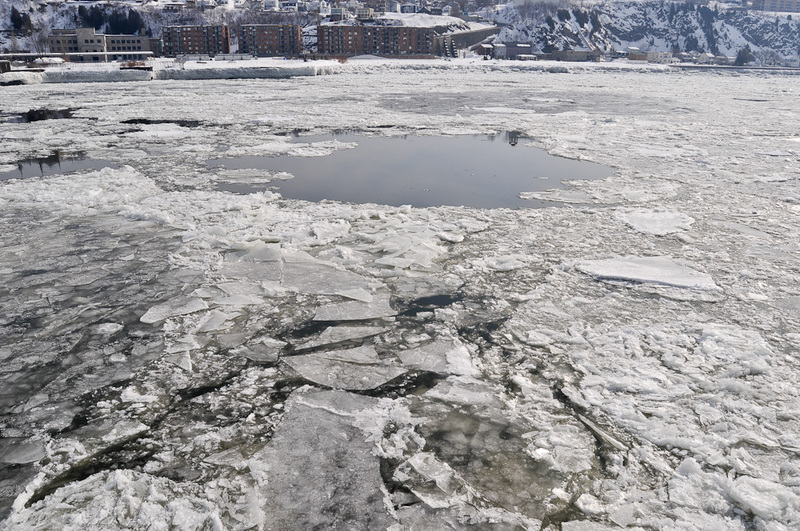 This winter has been so mild, I doubt there’s much ice to look at on the Hudson. 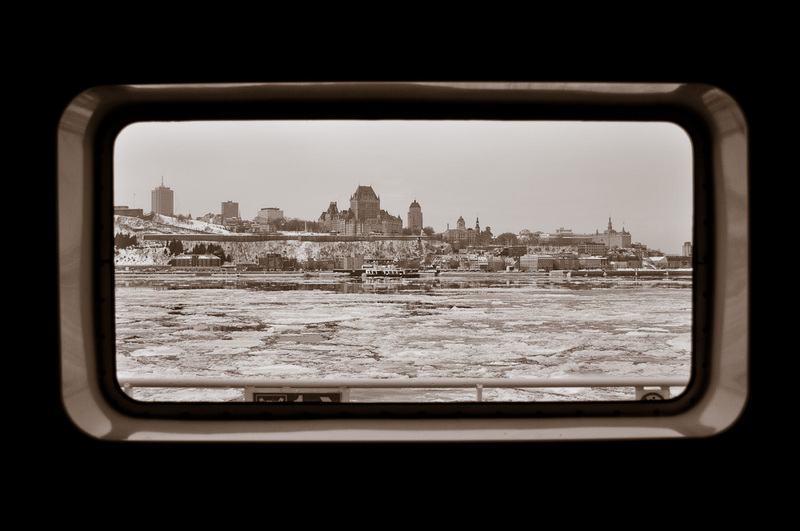 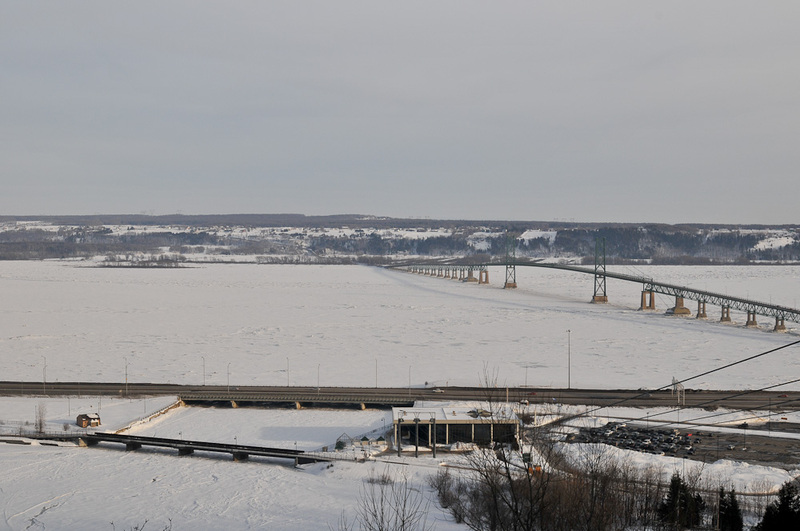 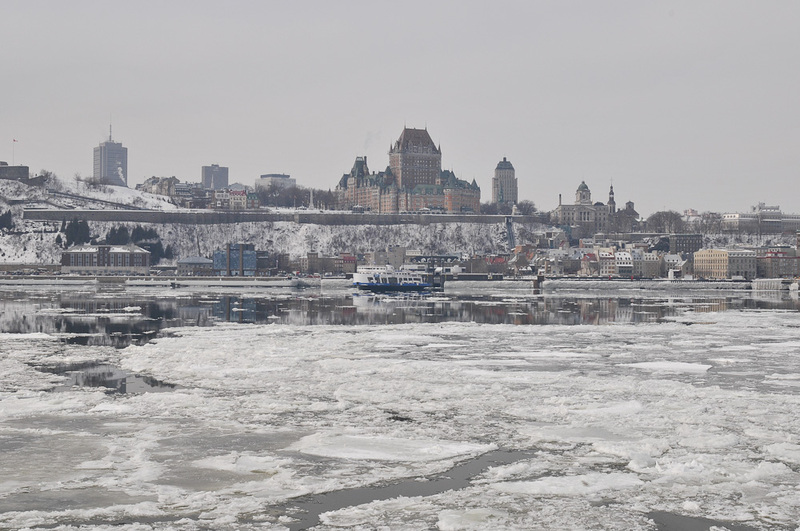 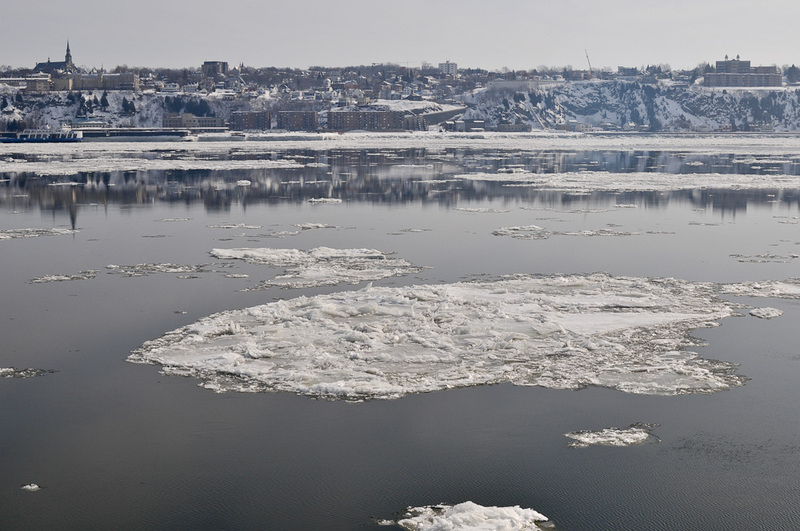 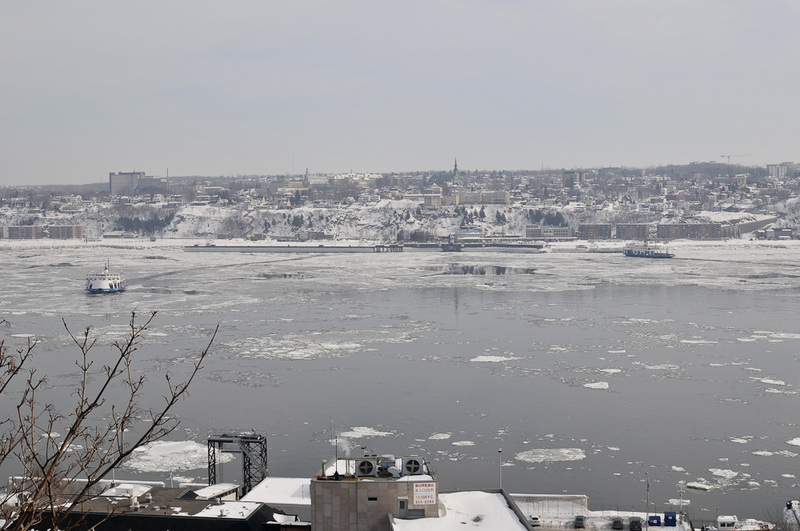 So to find ice we had to go farther—to Québec City and the St. Lawrence River. 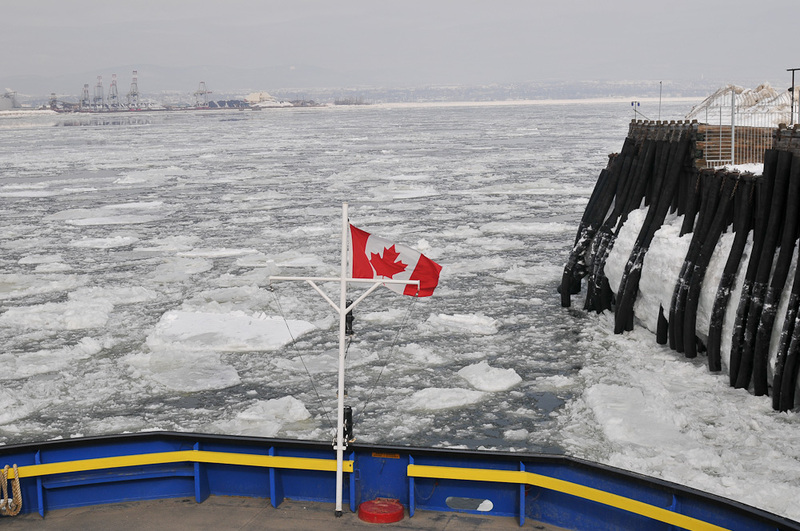 The next day we decided to get a close-up view of the ice, and we took the ferry across to Lévis. 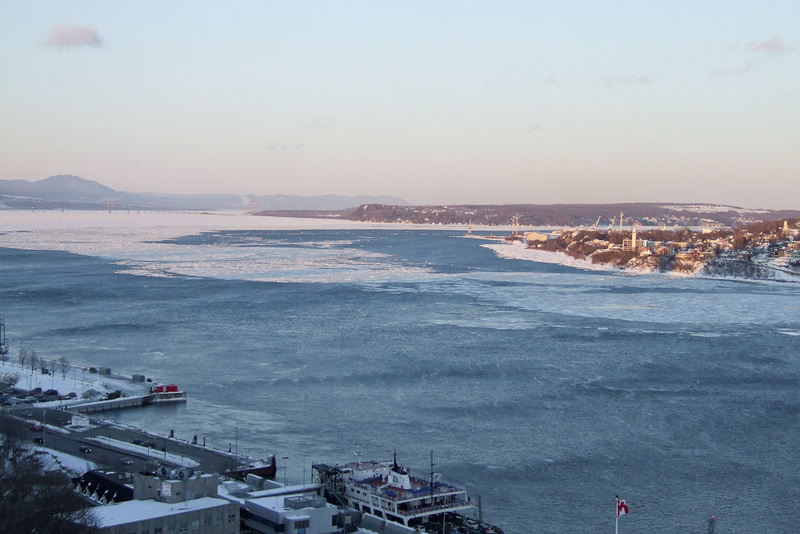 You can see the ferry at the bottom of the picture above. 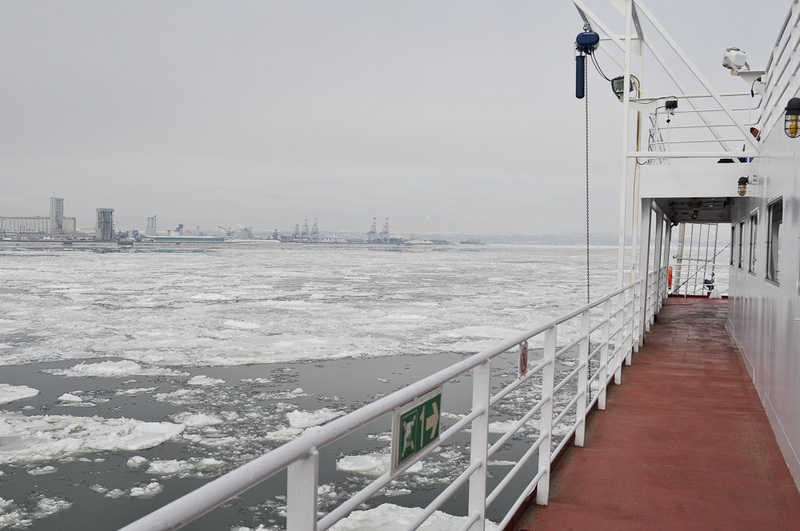 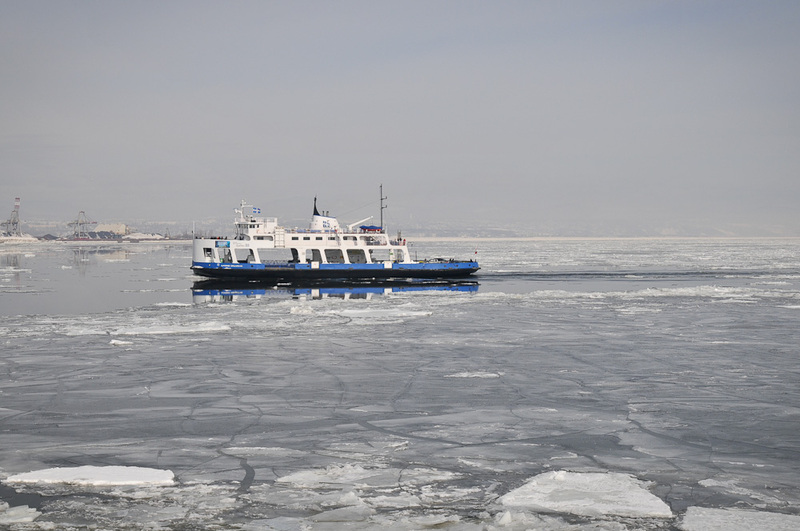 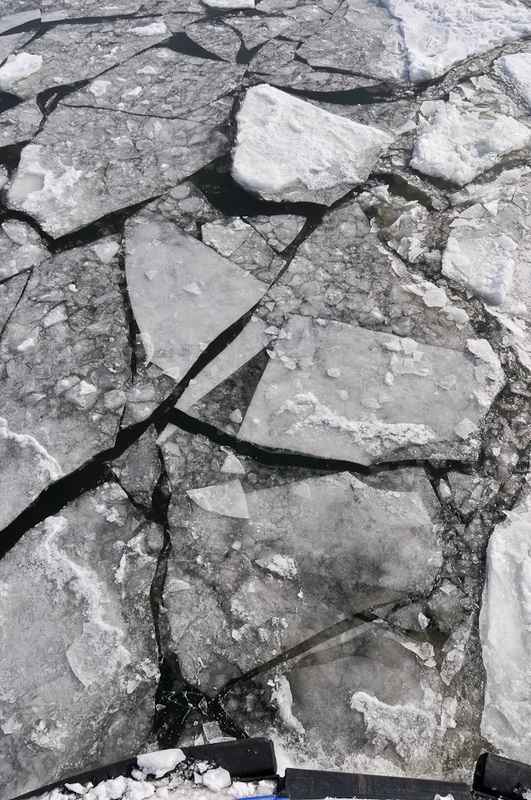 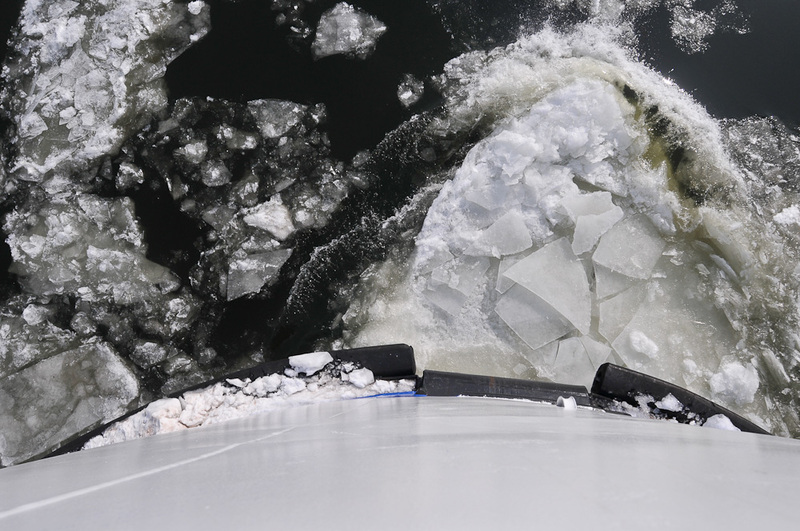 The ice was pretty thick, and the ferry had to push through the floes.